Deep south and close to the border of the constellation of Vela and Carina, we found this colorful and bright open galactic cluster. Although some studies were been published I could not find much color images of this object. It was discovered by French astronomer Nicholas Louis de Lacaille in 1725 from South Africa. 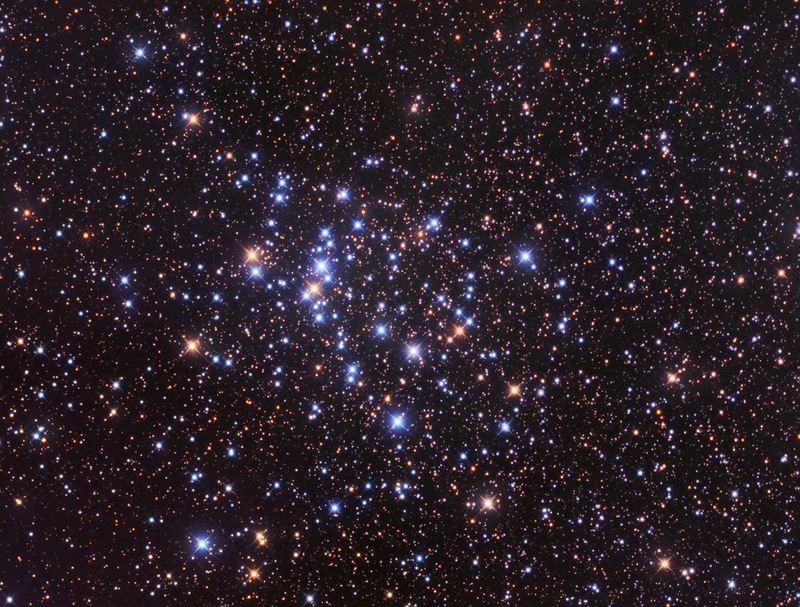 IC 2488 is a good target for binoculars and telescopes and it is very easy to find. It is almost half a way between kappa Velorum and iota Carinae, just east the line formed by these two stars.